FINALLY! 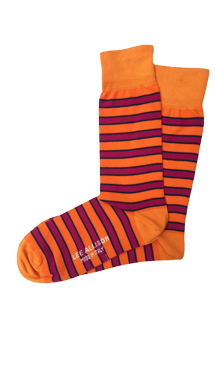 Lee Allison Company socks! For over 20 years, we've made you look good up above. And now we're making you look good down below. And boy did we have fun. With wild colors, and contasting cuffs, heals and toes, we hope you agree that our socks rock! 80% cotton, 12% nylon, 8% elastane.